Advertisement and promotions are most important for a company to market and sell their products and/or services. They rely on different modes of communication to advertise and promote what they offer. The most prominent feature of their marketing campaign, which attracts the audience instantly, is graphic designs. In our daily life, we come across numerous ads in newspapers and magazines. However, only those ads are able to create an impact that are creatively designed while rest of the others go unnoticed. Hence, it is safe to say that graphic design is of utmost importance when it comes to advertisement in newspapers, publications, and magazines. Creative and engaging graphic design help to elevate the brand image and its popularity. It also increases the chances of hike in sales. On the other hand, lackluster and sub par graphic design can create a bad impression of the brand, which can also result in a decrease in sales. 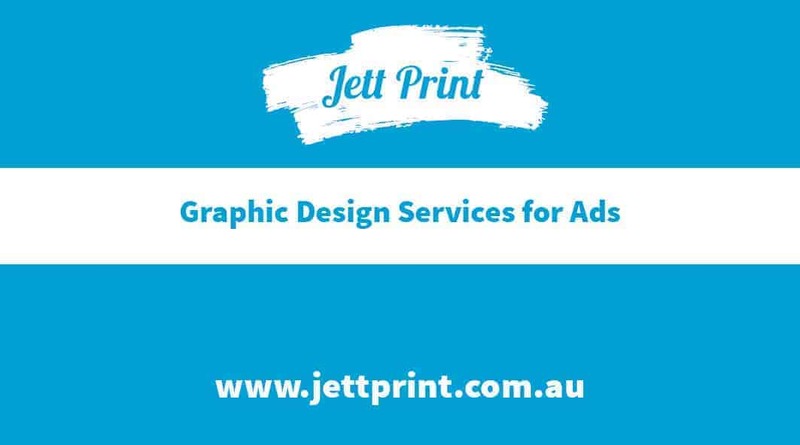 You may find a number of companies claiming to offer high quality graphic design services in Australia, but none can match the standards of Jett Print. We are dedicated to providing exceptional graphic design services. We have a team of professional graphic designers, who are equipped with the cutting edge technology & software to creatively design artwork for our client’s ads. They are well versed with the latest market trends for newspaper, publication, and magazine ads. 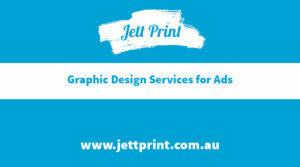 At Jett Print, our mission is to provide best services to our customers. For their enhanced convenience, we offer online order placement feature and free delivery. This allows you to place an order without visiting our premises. We have an online print shop, where they can place orders for high-quality graphic design for their upcoming marketing campaign, that too at the most economical rates.